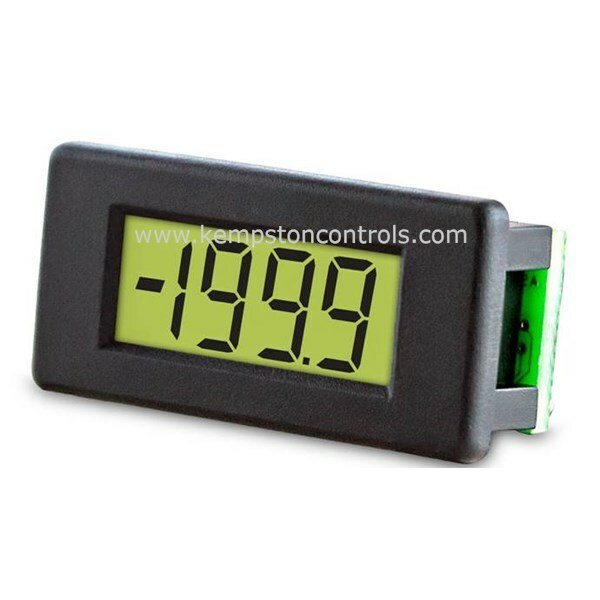 When you have a need for a compact snap-fit panel meter featuring a 3½ digit LCD with 5.5mm digit height and LED backlighting then the Lascar DPM 1AS-BL could be just what you are looking for. Featuring a negative rail generator that allows the meter to measure a signal with a reference to its own power supply ground. Additional features include a 200mV dc full-scale read-out, auto-zero, auto-polarity and user selectable decimal points the DPM 1AS-BL is also suitable for 3.0 to 7.5V dc or 6.0 to 15.0V dc operation. The DPM 1AS-BL is suitable for a multitude of applications including power supply monitoring, precision instrumentation systems, hand-held devices, panel-mount indication, low power voltage measurement and many more besides.